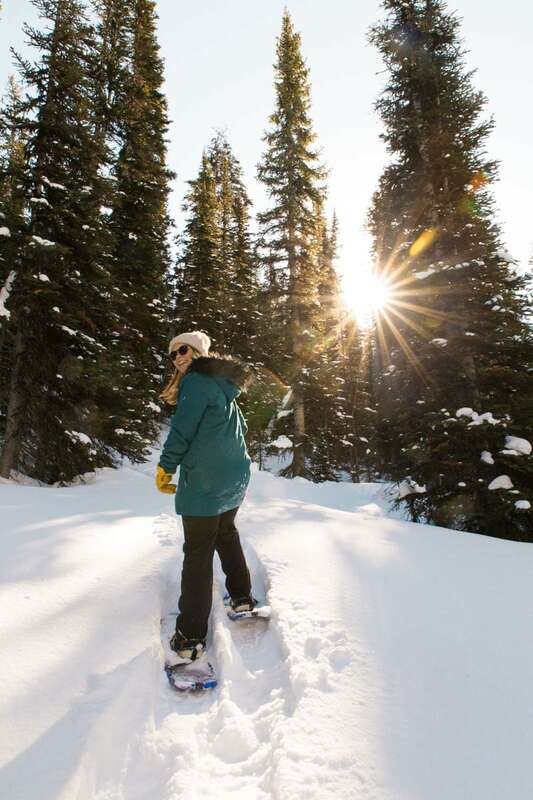 Ready for an unforgettable bucket list adventure? 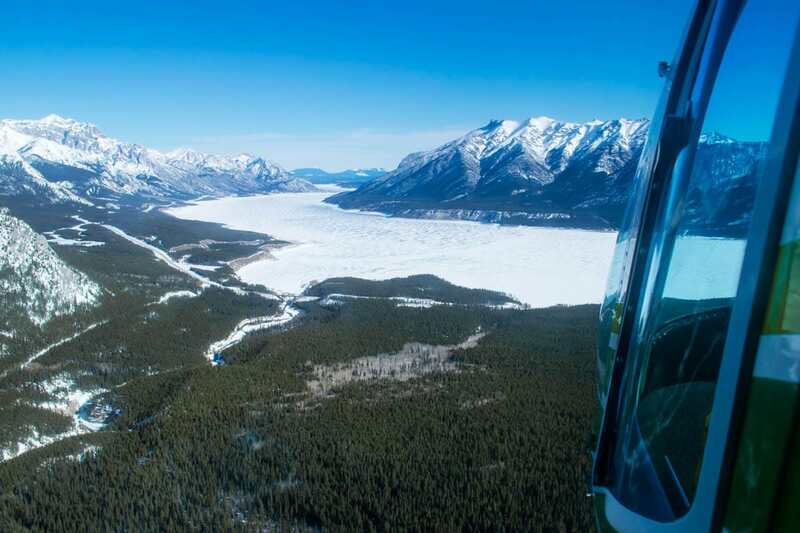 It’s time to take a helicopter tour over the Canadian Rockies in Alberta! Until just over a month ago, I’d never taken a helicopter flight. A few years ago I soared over Helsinki’s beautiful archipelago in a 4-seater Cessna – an unbelievable experience and a unique way to see the city. 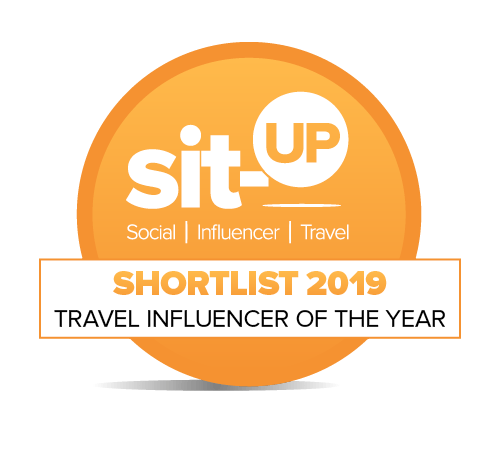 Then recently as part of my work as a Lonely Planet Trailblazer, I took to the skies over London in a helicopter. I’ve lived in London most of my life, and it’s genuinely one of the best things I’ve ever done! 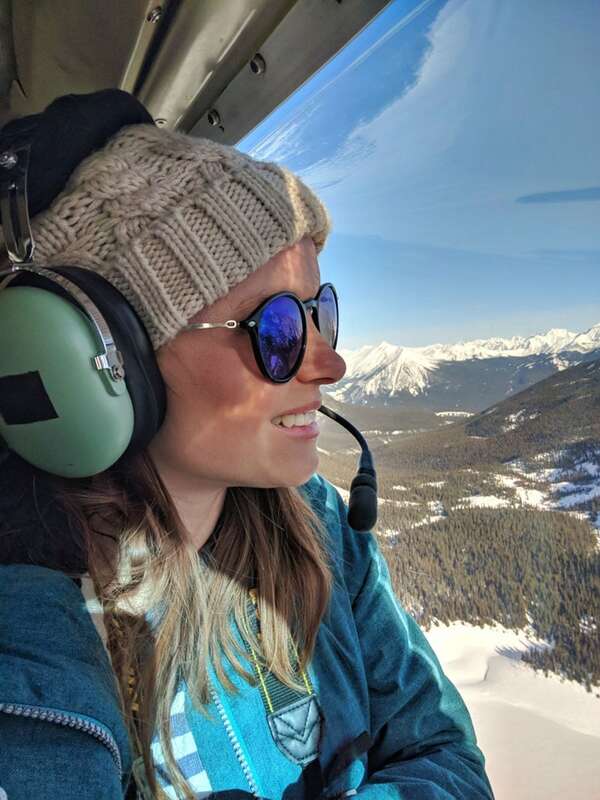 So when I heard there was an opportunity to take a helicopter flight over the Canadian Rockies during our time in Alberta, I said yes immediately! 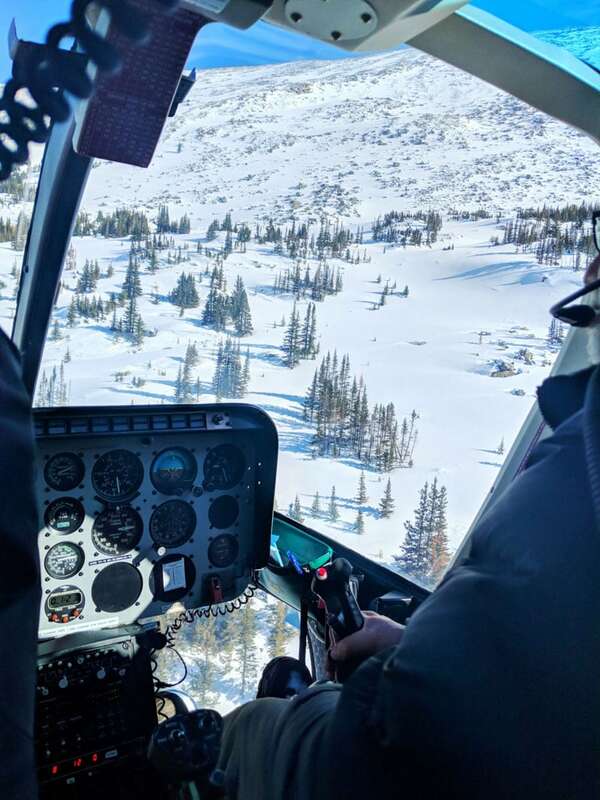 I was excited to see the beautiful snowy scenery from above, and reach areas that would be otherwise totally off limits. 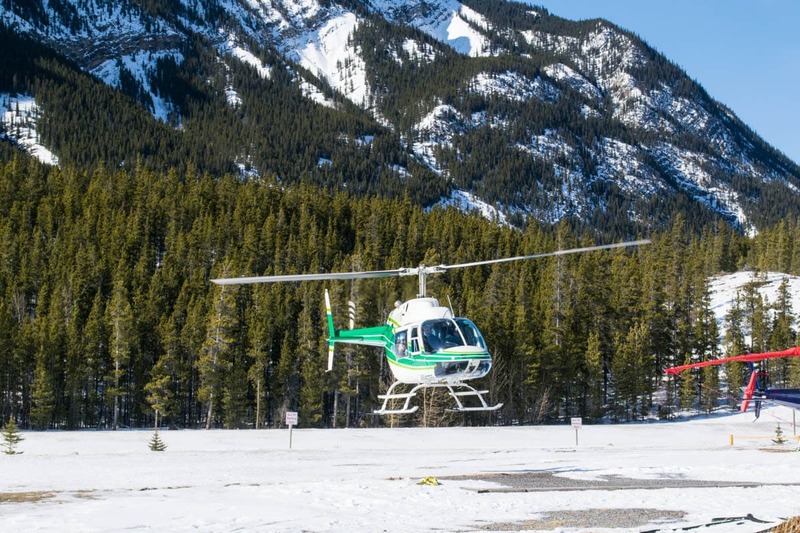 We booked with Rockies Heli Canada and arrived bright and early at their HQ close to Abraham Lake. 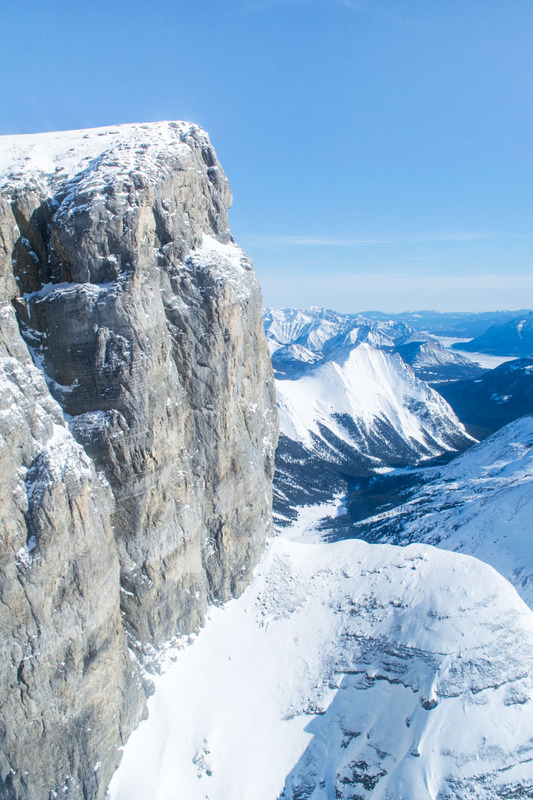 The drive there was spectacular, along the Icefields Parkway, known for being one of the world’s most scenic driving routes! Our tour wasn’t a standard flight either. 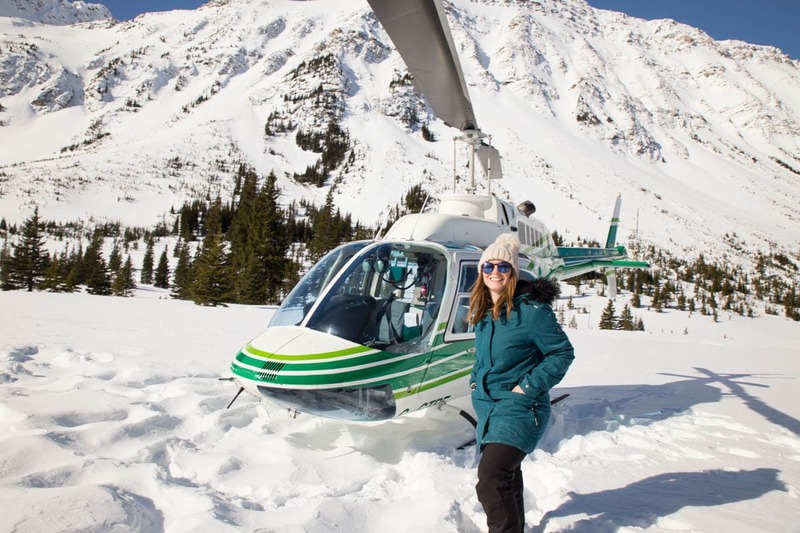 The plan was to take to the skies, soar over the Rockies, then land in a snowy valley, head off snow shoeing, and then fly back to the base. 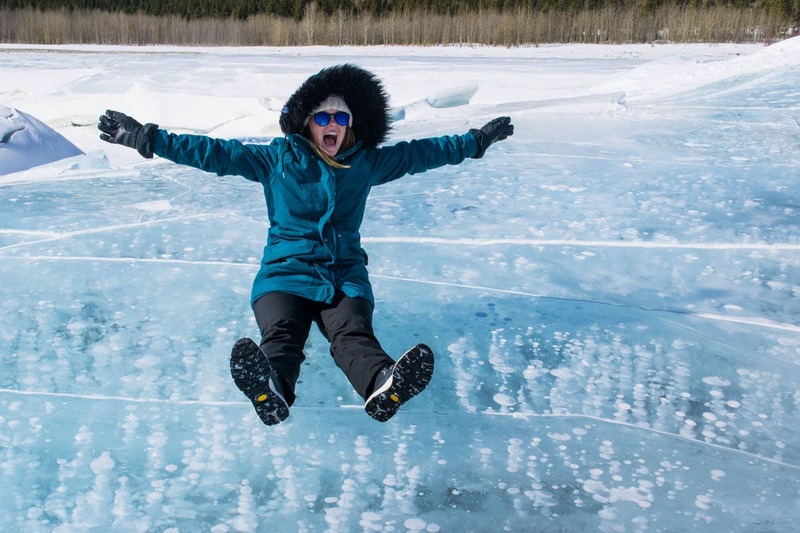 After that we’d head to see some of the ice bubbles in Abraham Lake – a natural phenomenon I was very excited to see for the first time. Landing a helicopter on snow is an experience in itself! It felt like a sequence from a James Bond film! As we got closer to the ground, fresh powder blasted up into the air, and we lost visibility for a milli-second. Once the propellors slowed down, we were able to get out, and I pretty much disappeared as I stepped foot on the snow. It was so deep! 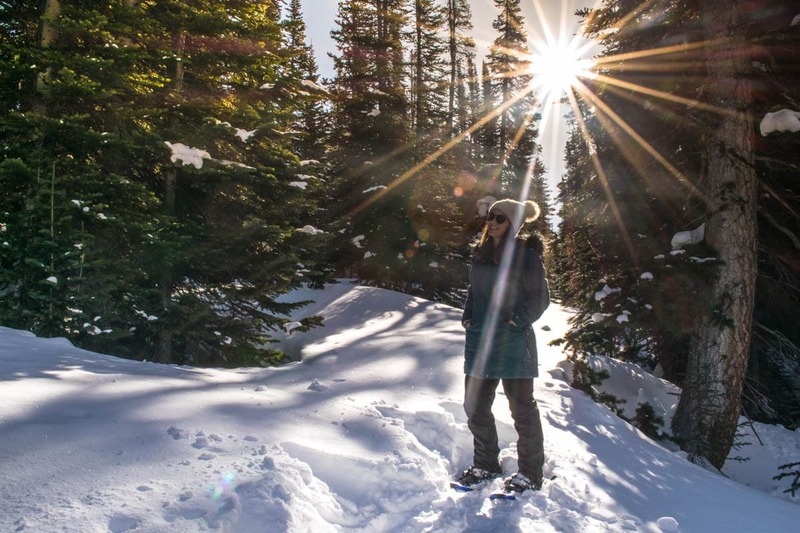 We fixed on some snowshoes and explored the area. One element of this tour which I found so special was that this was a place which was unreachable at this time of year by any other means. We were out in the wilderness! The soft snow hadn’t been walked on before, and there were pristine animal prints dotted all over. We explored a section of forest, before stopping for a warming hot chocolate, complete with a cheeky splash of Baileys! It was a magical place and I felt incredibly lucky to be there. As we flew back to the base, there was a very different view. 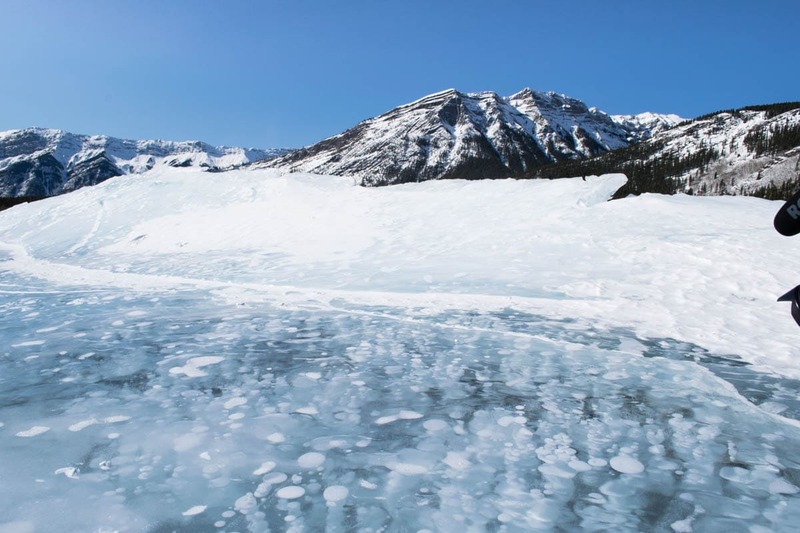 We could see the incredible shape and size of Abraham Lake – frozen and still, covered in a blanket of white. Landing at the heliport, I couldn’t quite believe what we’d just done! Once my adrenaline levels had subsided, we hopped in a SUV to Abraham Lake. 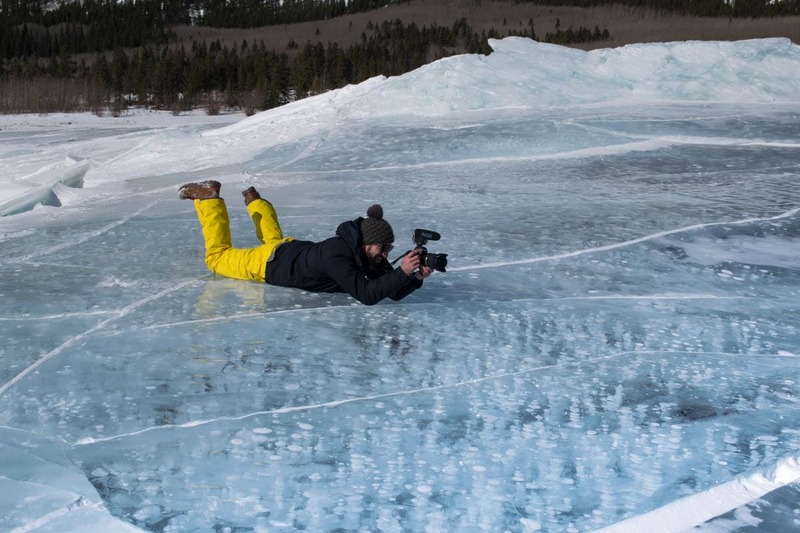 At first I was apprehensive about standing on the ice, but I could see how thick it was. Why were we here? To see the ice bubbles! Sure enough, as I peered down I saw beautiful white bubbles encased inside the thick ice. WOW! Before this, I’d never seen or heard about this natural phenomenon. The bubbles are created when methane gas gets caught below the surface, which then turns into bubbles within the ice itself. After taking in the magic, it was play time on the slippery ice! 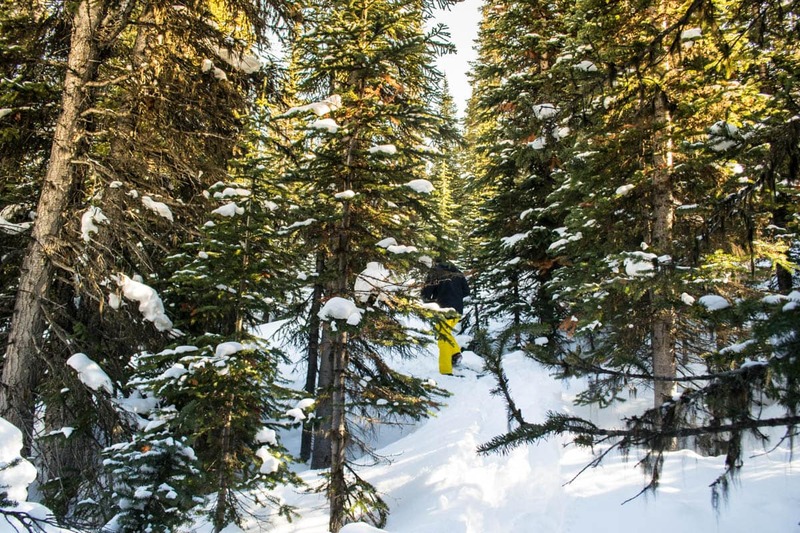 This experience really was the highlight of my time in Alberta! If you get the chance, and your budget permits, do it! 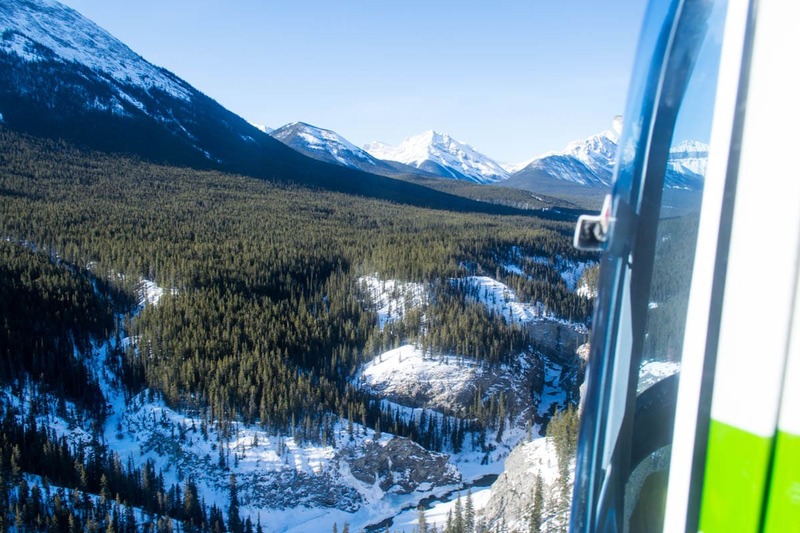 A 20-minute helicopter tour with Rockies Heli Canada costs CAD $199 per person. The experience we enjoyed was the Ice Bubbles Tour which costs CAD $499 per person. 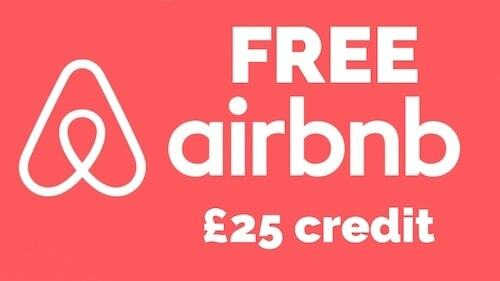 Find out more and book here. 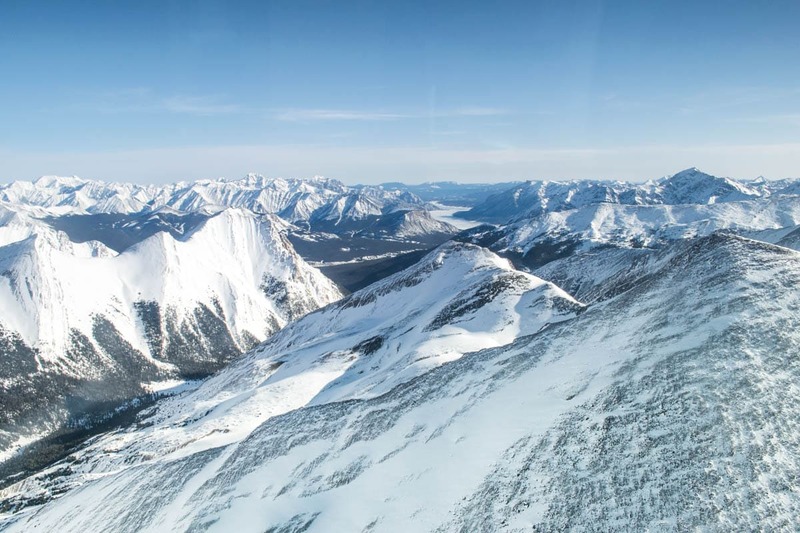 Rockies Heli Canada are based HERE between Jasper and Banff, just over thirty minutes from the Saskatchewan River Crossing. 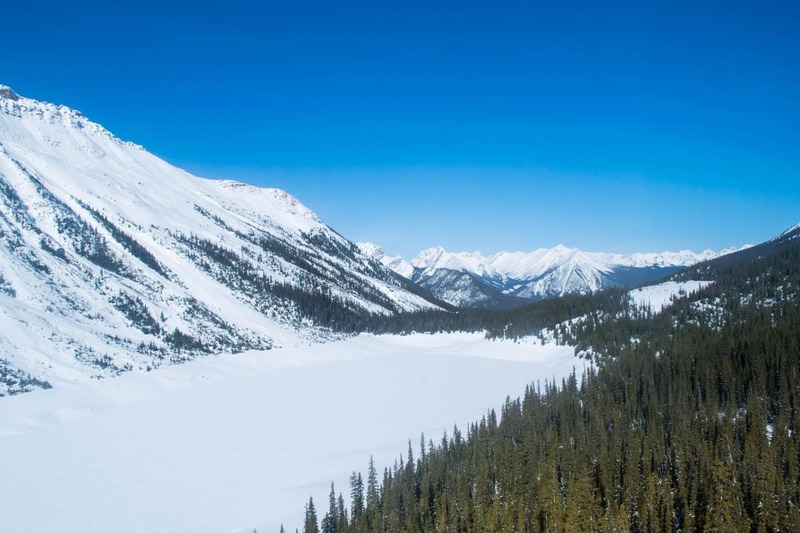 Bear in mind the state of the Icefields Parkway when planning your journey. 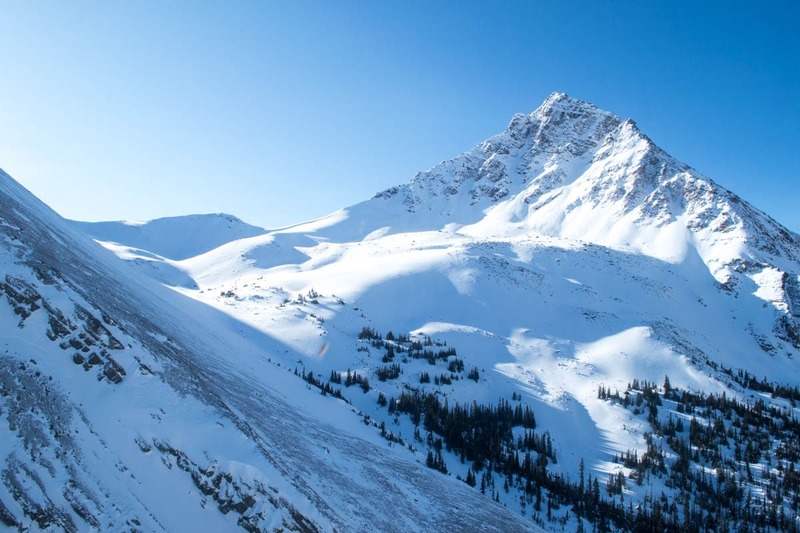 It can sometimes be closed due to avalanches which could impact on your route to get to the heliport. 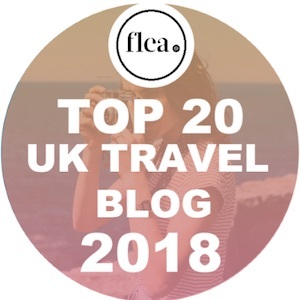 There are a few optional extras including front seat upgrades (you may not be able to choose where you sit), Baileys for your hot chocolate and more. 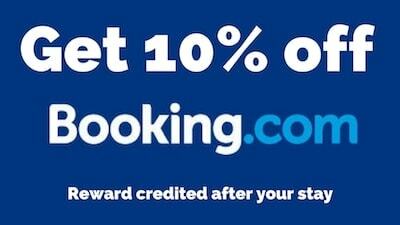 Take a good look on the website before you book. We wore our standard outdoor gear for the helicopter flight and took cameras and phones to capture as much as we could. If you’re a keen photographer, I’d recommend reading a few blogs about capturing content from a helicopter. Reflections and movement (especially the judder of the propellors) can make it hard to get steady shots! Some of my favourite shots from this trip were actually captured on my Google Pixel 2 smartphone.